15th Street Fisheries Restaurant is situated directly on the waterfront and is the ideal venue at which to host a large or small dinner party, luncheon, corporate event, anniversary, wedding reception, bridal shower or birthday celebration. 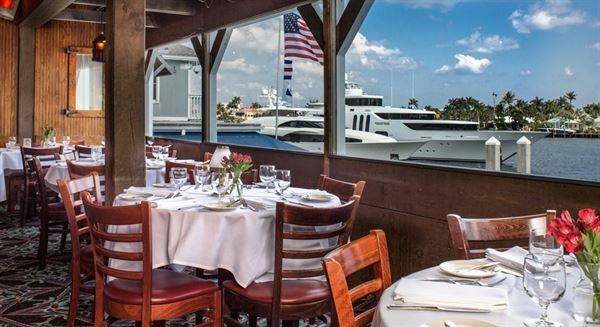 We can accommodate from 10 to 325 of your guests in one of our private or semi-private rooms featuring panoramic views of the Intracoastal Waterway. Book your next event with us here at Senor Frogs Miami Beach. Located in the Beautiful Art Deco Insignia builging: Hoffmans Cafeteria, we specialize in creating an atmosphere where groups can let go and enjoy the happenings of our entertainment team. With over 30 years of experience we are Perfect for Corporate Events, Wedding Party, Theme Party, Bachelor/Bachelorette Party! For all our information on the many different options that we have for you to look over for your next event. Buffets, Open Bar, Plated Dish packages and more.